Wet & Wavy sew in with front left out. Depending upon how your weave is attached in lots of cases it can be bothersome to cleanse your scalp effectively, while wearing a full sew in. It might be difficult, but hair grows best on a scalp free of bacteria and dirt, so washing your hair is extremely important to maintaining healthy hair while wearing a weave. Many ladies wear weaves to achieve extra length and thickness, but also with the hopes, that by giving their natural hair a rest, they will retain more hair length. It is true that giving your hair a break from daily manipulation will allow you to retain more length, but bacteria, fungus and dirt will retard your hair growth if you do not keep your scalp clean while wearing a hair weave. In order to retain length, your hair roots must first produce hair growth, neglecting your scalp while your hair is braided under a weave, will create an environment that is not conducive to hair growth. Never neglect the health of your hair, for the sake of maintaining a style longer. Partial weave with natural hair out on the front. If I have a partial weave with some leave out, how often should I wash my hair? Wash/deep condition your natural hair (leave out) once a week. 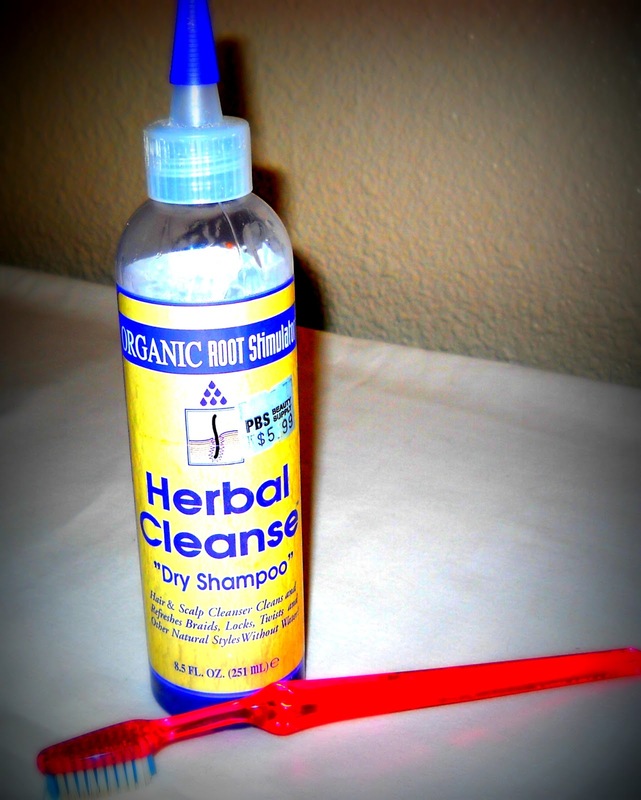 Cleanse your scalp thoroughly once every two weeks. Do I need to do anything to my natural hair before getting a sew in? What about the weave hair? Before getting your hair weaved, your natural hair should be thoroughly cleansed and moisturized. The Braid, Retain and Grow method, gives you detailed instructions on how to prep your hair for braids or weaves. Once you have properly prepped your hair for the weave process you must then give your hair weave a good acid wash, to remove any chemicals and germs the fake hair may have. This process should be done when using any type of human hair. If you do not take these precautions then know that for several weeks this hair is sitting on top of your head and whatever germs, mites or chemicals are on the hair will end up on your scalp, and when this happens it will lead to itching, dandruff, fungus growth, slow hair growth or worst hair loss. Properly prepping your hair and cleansing the hair weave before application is extremely important and a step which should not be skipped or half done. Why do you recommend to only cleanse my scalp once every two weeks? You should have started your hair weave on a freshly cleansed scalp. An added advantage of wearing a sew in is that the track hair covers most of your hair and shields your scalp from many of the pollutants and dust we normally accumulate throughout a day. So therefore the average person can cleanse their scalp every other week. However, if you are one who is prone to dandruff and sweats a lot, you may need to cleanse your scalp every week. If you have an active lifestyle of working out you will also need to clean your weave and scalp on a weekly basis. If you workout I recommend braid extensions over hair weave. Cleansing your leave out: On a weekly basis cleanse and deep condition your leave out (natural hair), all you do is pull your hair weave back with an elastic band out of your way and wash your natural hair in the sink leaning forward. This will keep water and product from running down your hair weave. Do not neglect your leave out, remember to give it extra attention but try not to apply heat to it a lot. Keep your natural hair, moisturized and lubricated. Pick a hair weave texture that is close to your natural hair so you do not have to add heat to blend. Protect your edges. Every other week cleanse your scalp gently but thoroughly. Purchase a soft to medium toothbrush and a cleanser such as ORS stimulating scalp cleanser or make your own with tea tree oil and aloe vera gel. Put the product in a squeeze bottle with a tube tip and apply the product in between your weave track then gently scrub with the toothbrush. Gently go between each track and gently scrub with your toothbrush. Once you have gone over your whole scalp once, you can choose to rinse your scalp with water or take a clothe and gently rub it over you scalp to remove any dirt or buildup. The toothbrush will pick up dirt and germs from the scalp, however if you do not rinse or wipe them away they will remain on your scalp. If you choose to rinse with water do so in the shower holding your head backwards, because holding your head forward tangles you hair weave. Take your time rinsing or wiping to ensure that your scalp feels refreshed. Once you are finished rinsing your scalp then massage a natural oil in between each track, and proceed to take care of your weave hair. How do I take care of the weave hair? Because there are so many different types of weave hair, it is recommended to follow the manufacturers instructions for cleaning it. Start with a gently shampoo for keeping your hair weave free of dirt and product buildup. You must keep the weave hair clean otherwise it will start to break your skin out. It is very common for women to get breakouts on the forehead or around the sides of the jaw area, from dirty weaves rubbing against their face clogging their pores. So do not pile lots of product on your weave hair and cleanse it once a month. Hair grows best on a clean scalp! Never sacrifice the health of your hair in order to wear a style longer. Make your own scalp cleanser: mix 1/2 cup of Aloe Vera get with 3 drops of tea tree oil. If you purchase human hair extensions in particular virgin hair, always pre wash your hair. Scrub gently when going through each track with a toothbrush, but do not cause breakage. After every cleanse always oil your scalp with a good quality oil, it should be unrefined and virgin. Recommended oils are EVOO, avocado oil, coconut oil or castor oil. You can keep your sew in for 8 weeks for fine or medium hair. 10 weeks for thick coarse hair. 7 weeks for weak damaged hair. Never leave your sew in for longer than 10 weeks no matter how good it continues to look. You mentioned to always acid wash human hair before using to braid or weave.....How do you do that, what product do you use to do that?? Apple cider vinegar from the grocery store. If you go to Trader Joe's, Sprouts or Whole Foods (or another "natural" store), you'll find shampoos that use natural ingredients and are sulfate-free.